From Oct. 17- Nov. 17, 21 local Allstate Insurance agencies will host a community-wide teddy bear drive partnering to benefit children in need at eight Clark County schools. 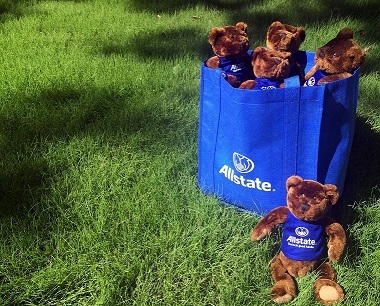 To participate, drop off a new teddy bear to a participating Allstate office and help us reach our goal of collecting 1,200 bears - enough to provide one to each child. The teddy bears drive is part of a larger effort to raise funds, necessities and toys for the children in need at these local schools.